The role of the rhizosphere in relation to mineral nutrition is discussed within a quantitative framework using the Barber-Cushman model as a starting point. The uptake or release of nutrients by roots growing in soil leads to concentration gradients forming in the soil: the zone so affected is termed the rhizosphere. The nature of these gradients depends on three factors: the rate of uptake/release; the mobility of the nutrient in soil; and the rate of conversion between available and unavailable forms. The interplay between these factors determines the amount of mineral nutrients acquired by the plant and it is the complexity of the interplay which demands the use of mathematical models in order to understand which factors most limit uptake. 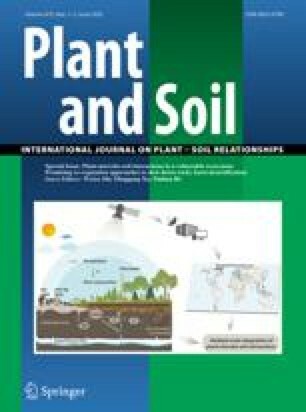 Despite extensive experimental evidence of root-mediated changes to the physical, chemical and biological status of rhizosphere soil, the quantitative significance of these changes for mineral nutrition has not been assessed. The problems of making this quantitative transition are reviewed.